Ice cream is awesome but if you haven’t tried homemade recipes yet, you don’t know what you’re missing! Whether it’s way too hot outside or you just want to celebrate having room for dessert in your macros, ice cream hits the spot every time. And it’s even better when it’s homemade with high-quality dairy (or alternatives), fresh fruit, your favorite chocolates, nuts, and other goodies, and even more unusual inclusions like herbs. 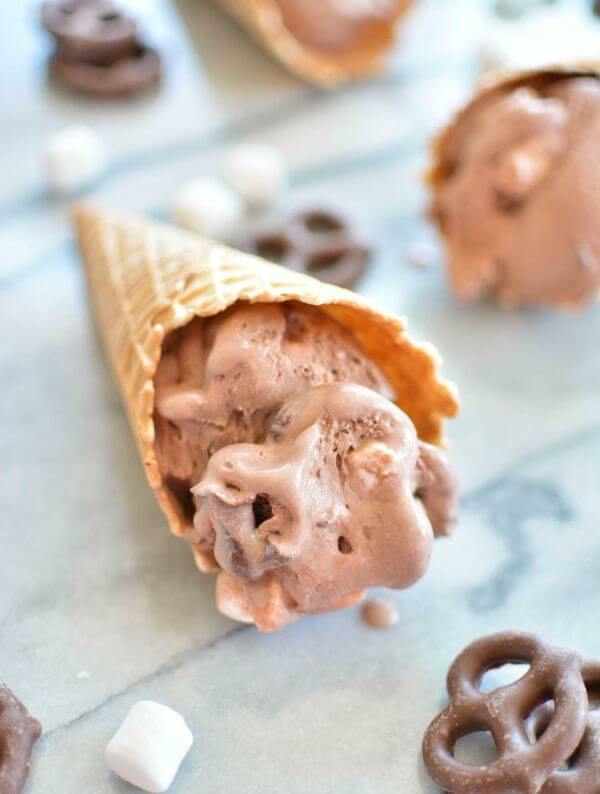 A good ice cream maker is necessary for the most homemade ice cream recipes but isn’t a must for at least a few of the churn-free recipes on this list. 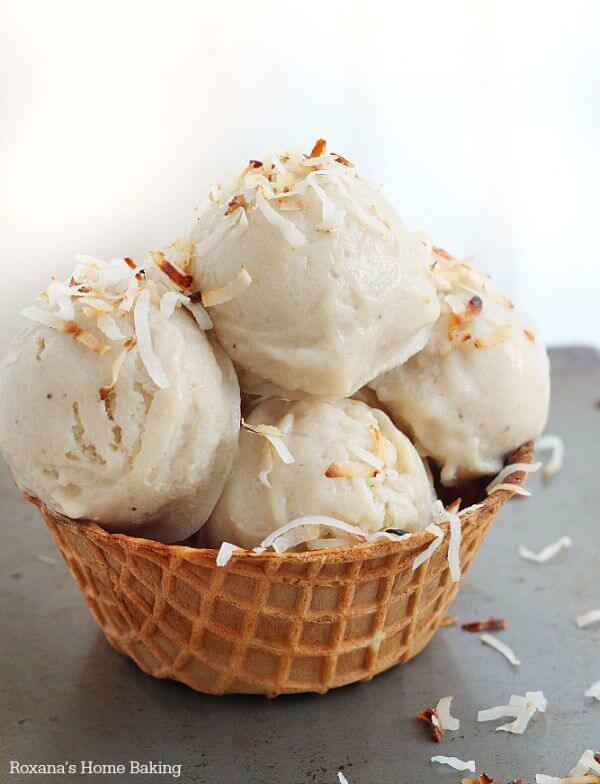 It’s even possible to make a tasty two-ingredient ice cream out of only milk and bananas! 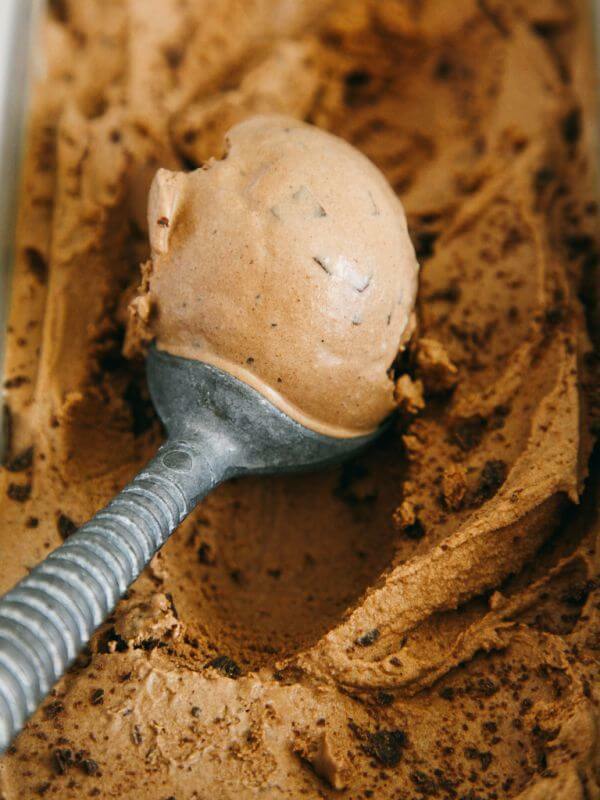 This ice cream is so rich and chocolatey, you’ll hardly be concerned that it’s dairy-free. In fact, the almond milk helps reduce the calories, which just makes room for even more chocolate. It starts with melting dark chocolate into almond milk in a saucepan. Dates and coconut cream get blended in, and after the base cools down, both cacao nibs and dark chocolate chunks get mixed in. 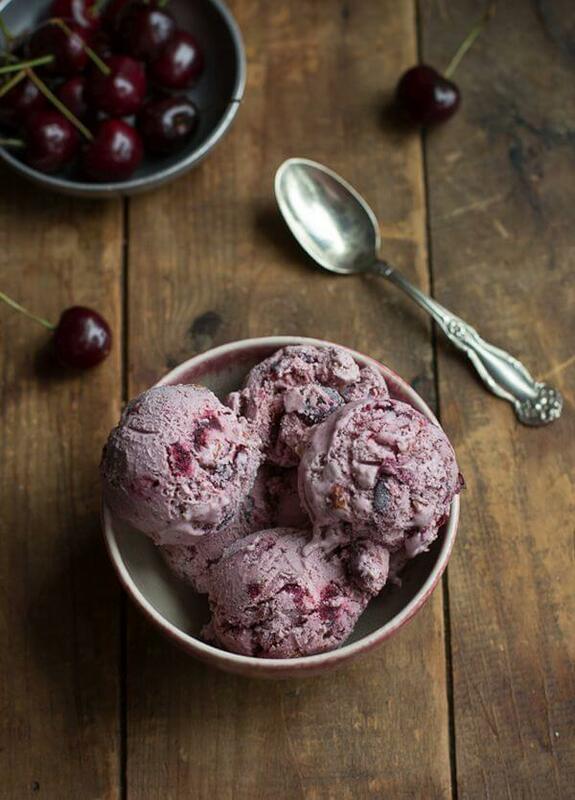 For the best taste of summer, use plump and juicy cherries to make this ice cream – the darker the better. The ripe cherries, which get cooked down into a thick syrup, will play off the nutty toasted almonds. And if you want to go for a Ben & Jerry’s vibe, feel free to stir in some chunks of dark chocolate. If you love nothing more than a cup of hot green tea, it can be hard to enjoy a hot summer afternoon. 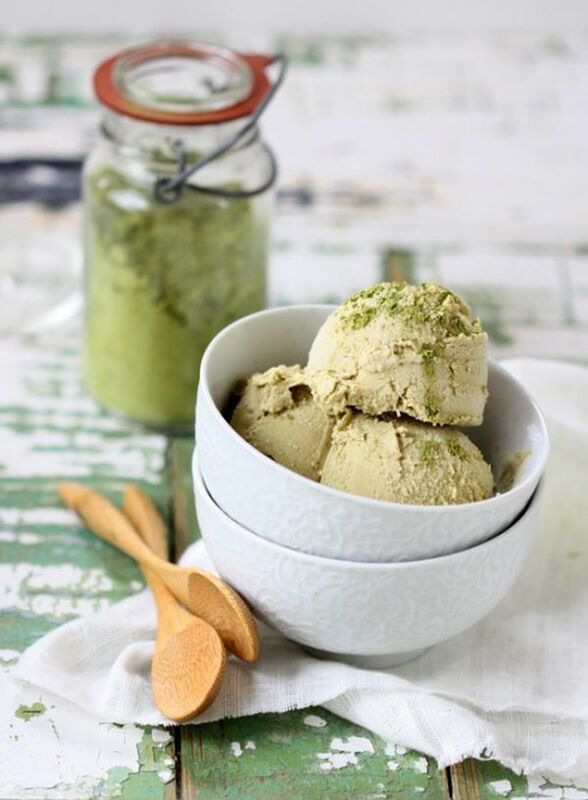 To get your fix, make this green tea ice cream. Like your favorite cup, it’s full of antioxidants, vitamins, and minerals. 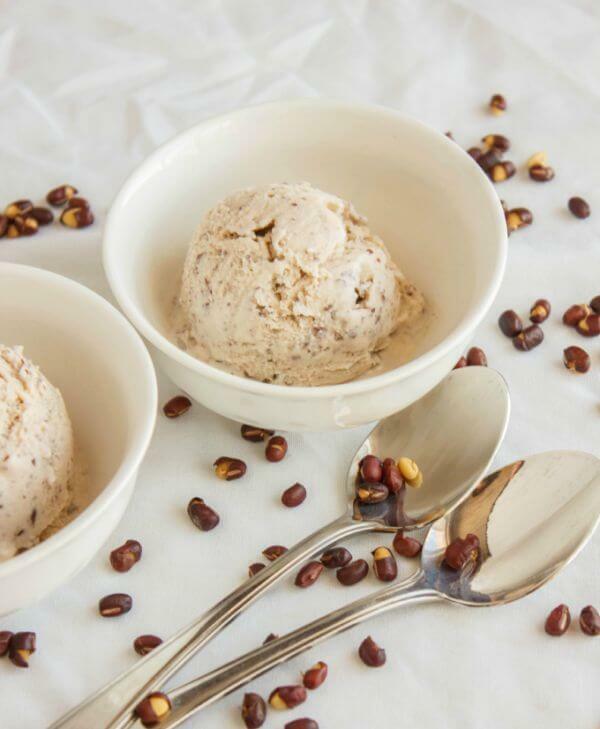 Make more ice cream alternatives, including White Chocolate Goji Berry and Butter Pecan, in Dairy-Free Ice Cream: 75 Recipes Made without Eggs, Gluten, Soy, or Refined Sugar. Like rocky road? Then you’ll want to dig right into this chocolate ice cream, especially if you decide to add nuts. But since there’s Nutella swirled right in, you don’t need to bother adjusting the recipe to indulge in nutty flavor. This flavor also pairs well with beer, such as a rich imperial stout or sophisticated porter. 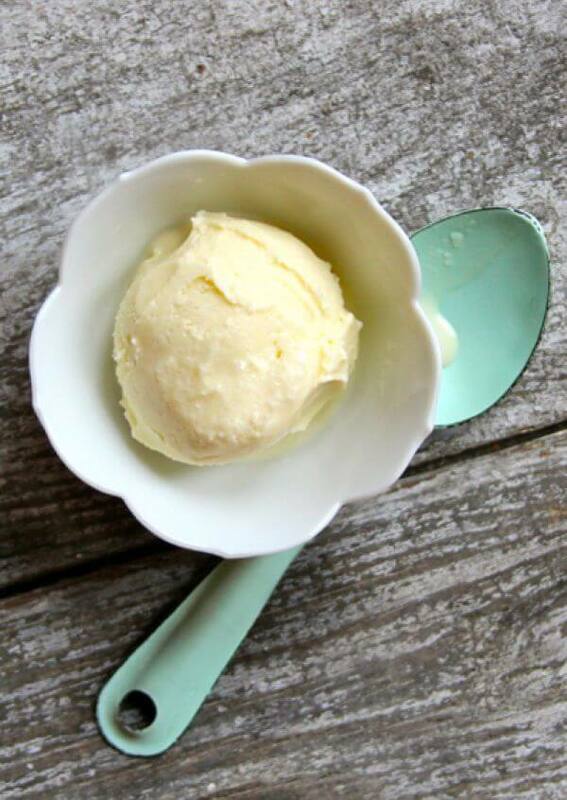 If you want a classically delicious vanilla ice cream, this is the recipe for you. It’s simple but hits all the right notes with brown sugar, honey, and heavy cream. Use a bourbon vanilla extract for a richer flavor. Since the ice cream base is cooked, the alcohol itself will cook out, but the bourbon will contribute another layer of flavor. 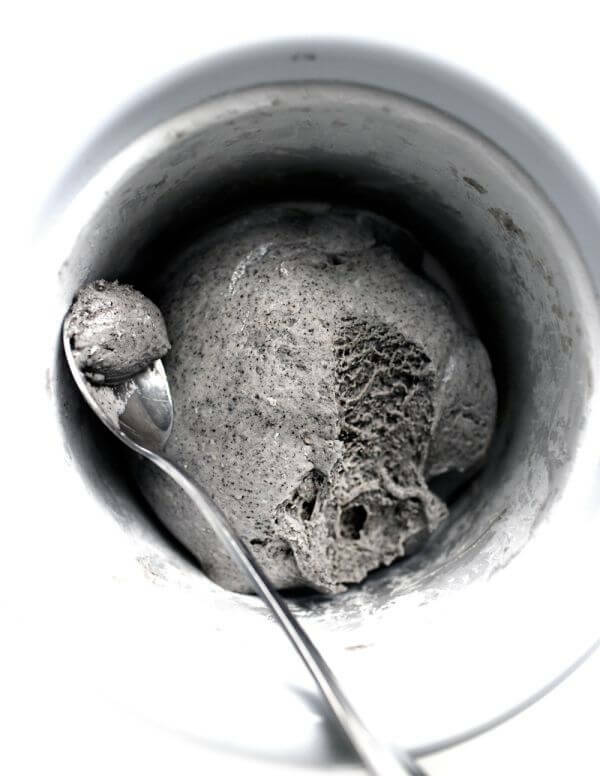 Mint plus cookies and cream equals an ice cream that’s more than the sum of its two parts. 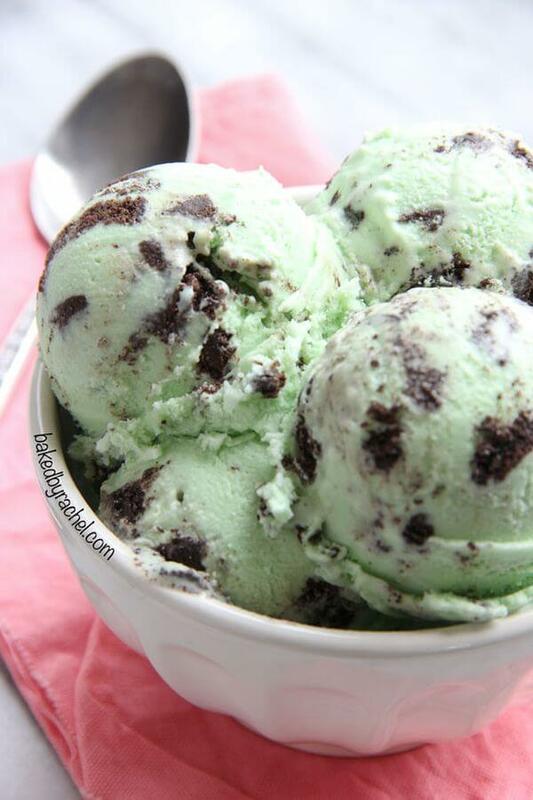 And to enhance it even more, it’s best to make the mint ice cream green. You can leave the food coloring out altogether, and the result will taste just the same. But it’s more enjoyable with the green – which can also be had with a homemade green coloring made with spinach. 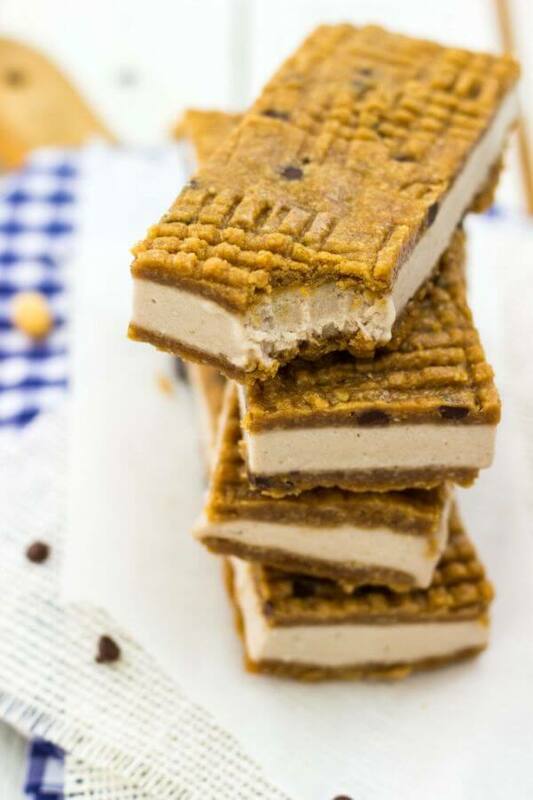 These vegan ice cream sandwiches are packed with fresh bananas, peanut butter, cashews, and almond milk. The outside layers are traditional peanut butter cookies, criss-crossed tops and all. But perhaps the best part is that the amazing banana ice cream in the middle doesn’t require any gadgetry. Cashews help it get thick and creamy as the sandwiches chill in the freezer. 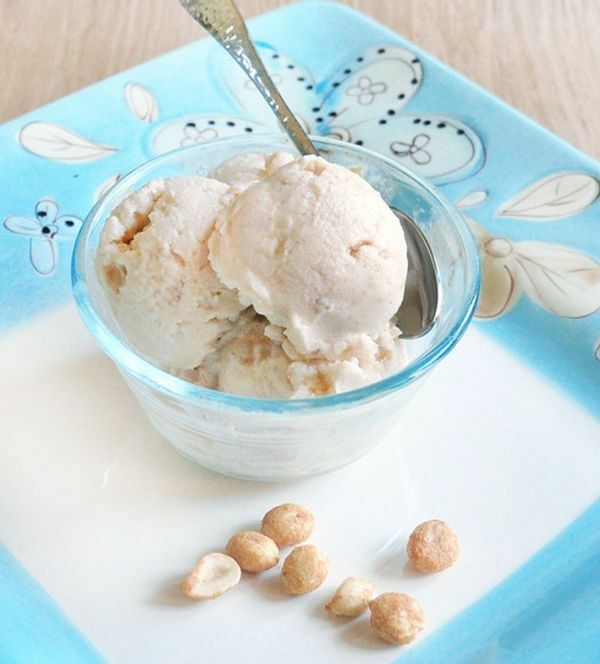 Can you make ice cream with low-calorie almond milk? In this recipe, it adds flavor and cuts some of the heft from the heavy cream. 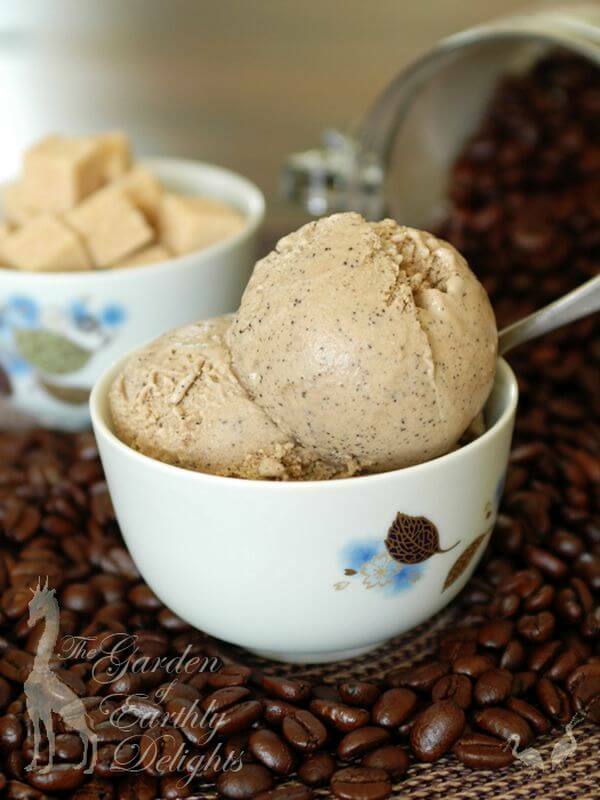 Nope, this one isn’t dairy-free but offers the best of both, creating a coffee ice cream that tastes like a frozen almond latte. And on a hot summer day, nobody would blame you for having this with breakfast instead of a steaming mug of freshly brewed coffee. 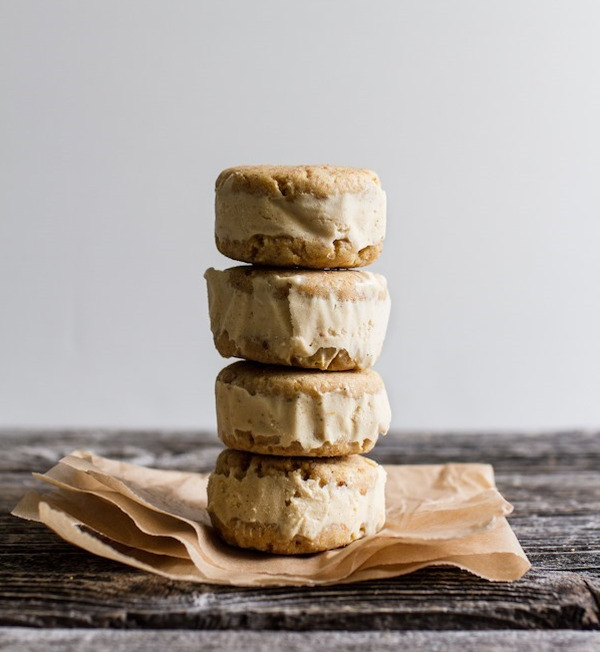 If you’ve sworn off cookies – whether it’s the gluten or just your inability to stop at one – these unique ice cream sandwiches will be your saving grace. 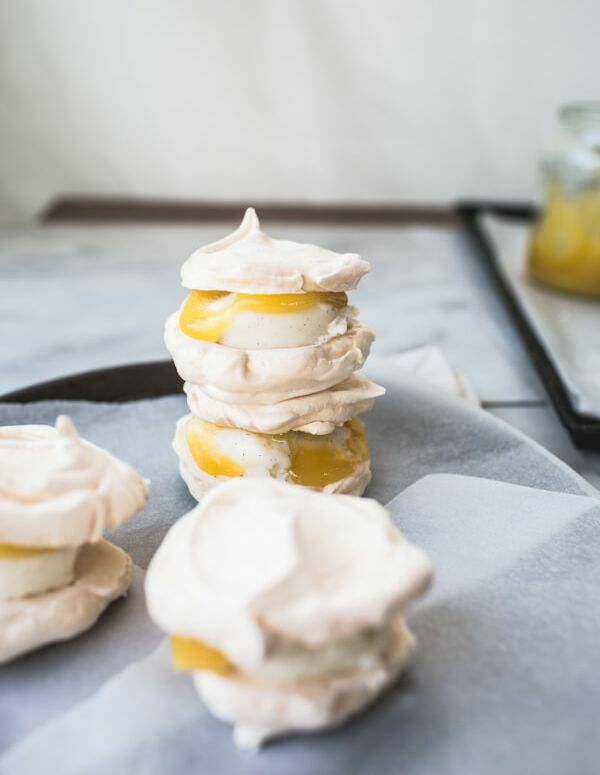 Instead of cookies, they use crisp meringue shells to contain the lemon curd and vanilla ice cream. As long as you have a stand mixer or enough arm strength, it’s easy to make. Just beware of baking meringue on a hot and humid day. 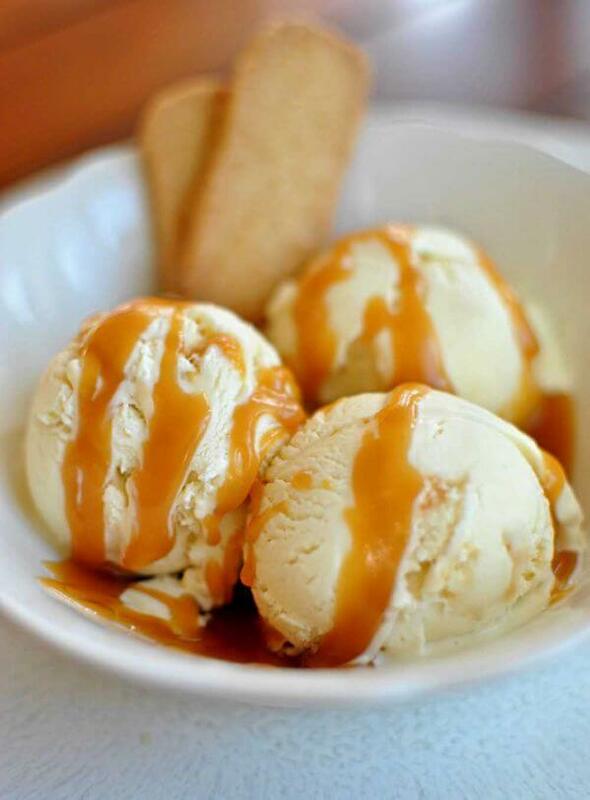 This simple ice cream is able to stand on the strength of only two ingredients because of the magical caramel flavor of roasted bananas. Not only that, but the banana ice cream requires no fancy machinery. All you have to do is mix the two ingredients together, and they’ll transform in the freezer after a few hours. 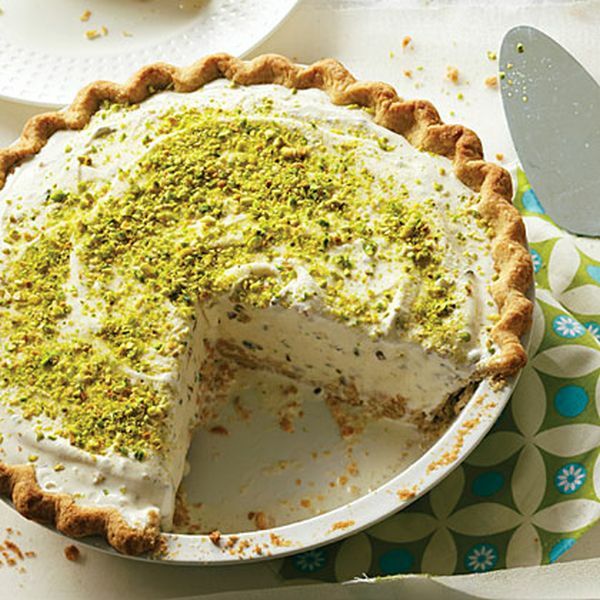 As a tribute to the Indian dessert, pistachio ice cream gets combined with flaky pie crust and then dusted with bright green pistachio. 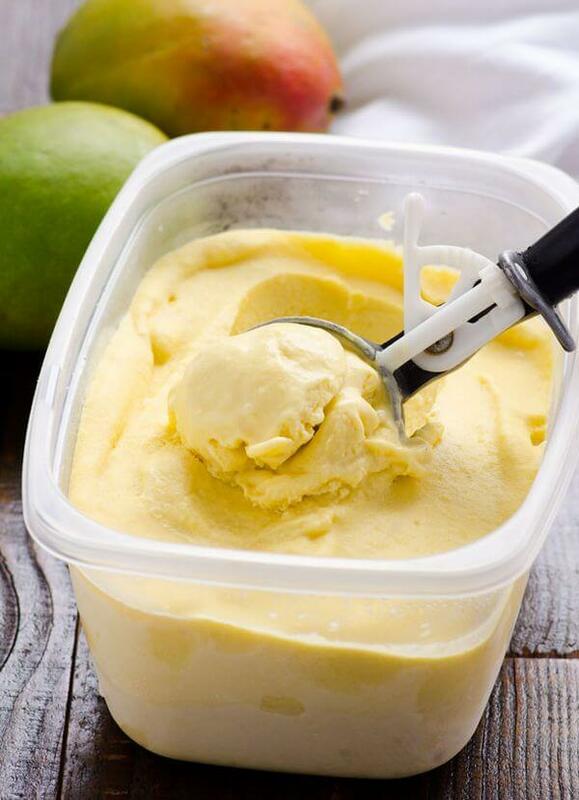 Rich can’t even describe this gelato, which will turn high-quality olive oil into an unbelievable dessert. It sounds a bit odd if you haven’t tried it, so just think of the awesome flavor of buttery ice cream. It has a slightly different savory note – a bit grassy – but the exact flavor will depend on the extra-virgin olive oil you choose. This ice cream doesn’t sacrifice flavor even though there’s no added sugar (or, if you choose, minimal added sugar). With peanut butter and almond milk as the base, it has lots of flavor. You can also mix in chocolate chips if you aren’t worried about making this so low in calories. And optional toppings include crushed peanuts and chocolate syrup. Japanese mochi can refer to the chewy, individually sized ice cream balls. Those make a great way to keep track of how much dessert you’re consuming, but the word mochi actually refers to the sweet rice flour. It’s to make the mochi shell and is also the special ingredient that makes this ice cream extra thick and a little chewy. In fact it’s too much for an electric ice cream machine to handle and must be churned manually. Since adzuki red beans are naturally very sweet, they’re actually better enjoyed in a dessert than a main dish. It’s not like you can’t add them to a soup or salad, but that won’t reveal their real depth of flavor. In an ice cream, the red beans are able to stand alone and show off. 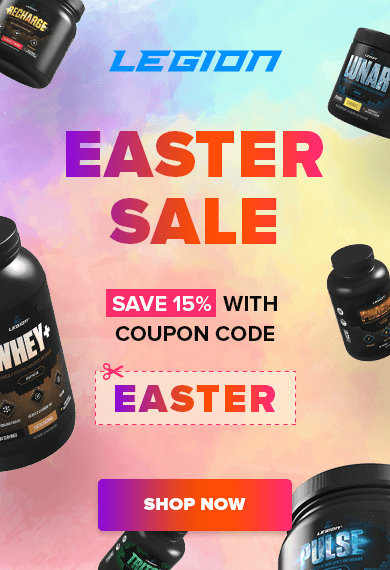 They also add a bit of protein, iron, and magnesium to the mix. Pack the best summer flavors of the South into an ice cream sandwich. Gluten-free lemon cornbread cookies are on the outside, and fresh peach ice cream is on the inside. And if that’s not enough, there’s a generous splash of bourbon to take things to the next level. 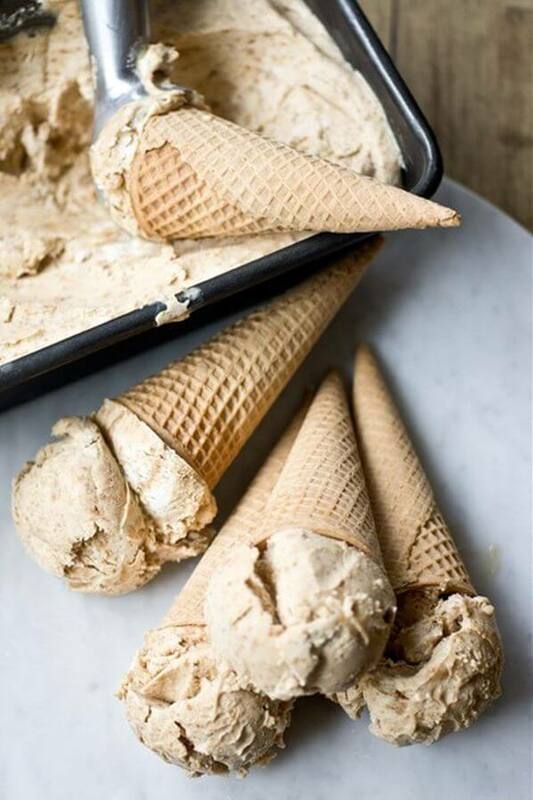 The recipe calls for full-fat coconut milk, which makes an awesome vegan ice cream, but you can use heavy cream if you aren’t concerned about enjoyed this treat dairy-free. It takes just five minutes to mix up this easy homemade ice cream in a blender or food processor. Then, of course, you have to wait for it to firm up in the freezer for about three hours, and after that it thaws for a bit before reaching the perfect consistency. But as long as you can be patient, this vegan ice cream will take no effort at all. 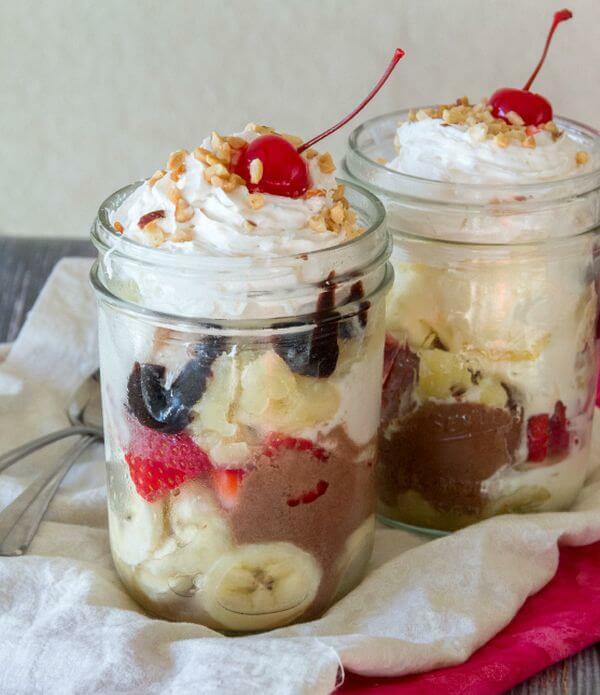 You can take these banana splits to-go, although you’d better bring them to the picnic or party in a cooler. But this is also a great way to store your homemade ice cream for later, and the prepacked pint jars ensure you’re having as much whole fruit as ice cream. 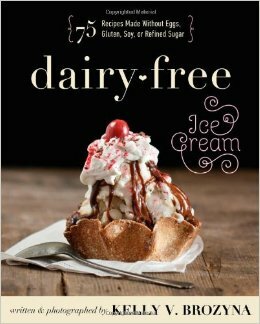 For a vegan version, choose any dairy-free ice cream, plus an alternative like soy whipped topping or coconut whipped cream. When you make homemade ice cream, there’s nothing to complement it quite like fresh waffle cones. You can use a standard waffle maker, although a shallow circular model is best for making them super crispy and thin. 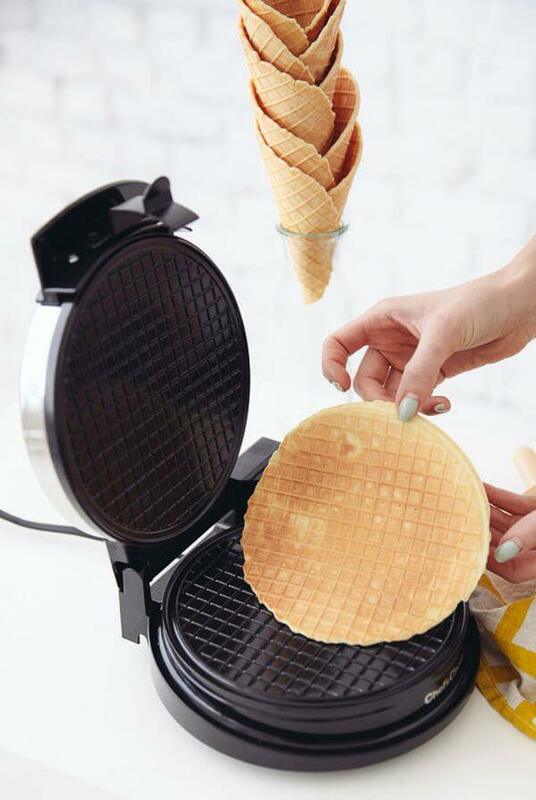 And you don’t just have to use waffle cones for ice cream. They can be an edible serving dish for fresh fruit, salad, and fried chicken. Can’t decide between cookies and ice cream? Then you’ll love this flavor, just like Belgian spiced butter cookies called speculoos. Chances are you recognize them as the Biscoff biscuits that are handed out on airplanes, but you can their website to look for a nearby retailer like Cost Plus World Market. Speculoos cookies and cookie butter are also sold by Trader Joe’s. 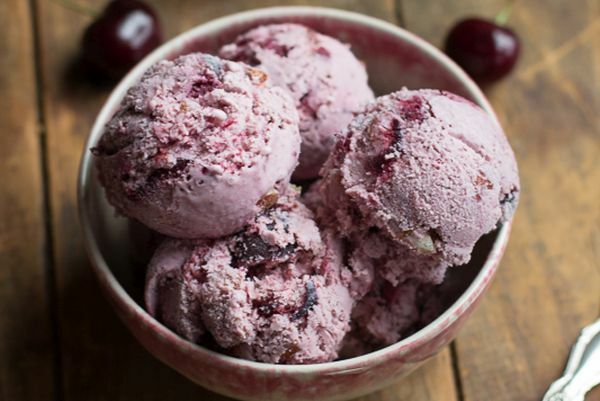 What did you think of these ice cream recipes? Have anything else to share? Let me know in the comments below!